Following the market opening Monday, the Dow traded up 0.63 percent to 18,259.22 while the NASDAQ gained 0.87 percent to 5,302.94. The S&P also rose, gaining 0.61 percent to 2,154.20. Monday morning, technology shares gained by 0.95 percent. Meanwhile, top gainers in the sector included Silicon Motion Technology Corp. (ADR) (NASDAQ: SIMO), and AU Optronics Corp (ADR) (NYSE: AUO). In trading on Monday, healthcare shares fell by 0.03 percent. Meanwhile, top losers in the sector included Apricus Biosciences Inc (NASDAQ: APRI), down 10 percent, and Ariad Pharmaceuticals, Inc. (NASDAQ: ARIA), down 7 percent. 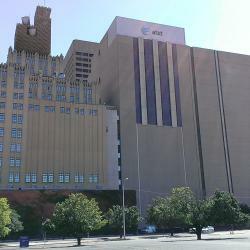 AT&T Inc. (NYSE: T) agreed to acquire Time Warner Inc (NYSE: TWX) for $107.50 per share in cash and stock. AT&T’s blockbuster $85.4 billion deal to buy Time Warner promises to reshape the media landscape—if the companies can navigate a series of obstacles, including possible opposition from U.S. antitrust authorities and objections by lawmakers and media and telecom rivals. Unilife Corp (NASDAQ: UNIS) shares shot up 37 percent to $2.40 after the company announced the filing of Form 10-K for fiscal year 2016. The company also reported the completion of the internal investigation and issued an update on the restructuring of its business. Shares of Merchants Bancshares,Inc. (NASDAQ: MBVT) got a boost, shooting up 27 percent to $41.70 after Community Bank System, Inc. (NYSE: CBU) reported a deal to buy Merchants Bancshares for $304 million. B/E Aerospace Inc (NASDAQ: BEAV) shares were also up, gaining 16 percent to $58.65 after Rockwell Collins Inc (NYSE: COL) agreed to buy the company for $62 per share in cash and stock. The deal is valued at $6.4 billion plus the assumption of $1.9 billion in debt. Tidewater Inc. (NYSE: TDW) shares dropped 31 percent to $2.08 following news late Friday that the company has received limited waiver extensions from lenders and noteholders. Shares of Inovio Pharmaceuticals Inc (NASDAQ: INO) were down 14 percent to $7.17 after the company disclosed that the FDA has requested for additional information for Phase III program for VGX-3100. Boise Cascade Co (NYSE: BCC) was down, falling around 14 percent to $20.20. Boise Cascade posted adjusted earnings of $0.41 per share on revenue of $1.07 billion for the third quarter. In commodity news, oil traded down 0.81 percent to $50.44 while gold traded up 0.32 percent to $1,271.70. Silver traded up 1.67 percent Monday to $17.79, while copper rose 0.17 percent to $2.09. European shares were mostly higher today. The eurozone’s STOXX 600 rose 0.35 percent, the Spanish Ibex Index rose 1.52 percent, while Italy’s FTSE MIB Index gained 0.93 percent. Meanwhile the German DAX gained 0.91 percent, and the French CAC 40 climbed 0.83 percent while U.K. shares fell 0.04 percent. The Chicago Fed National Activity Index rose to -0.14 in September, versus a prior reading of -0.72. The Markit manufacturing PMI rose to 53.20 for October, versus a previous reading of 51.50. Economists were expecting a reading of 51.50. Chicago Federal Reserve President Charles Evans is set to speak in Chicago at 1:30 p.m. ET. Federal Reserve Board Governor Jerome Powell will speak at 1:45 p.m. ET.